Do not indicate directly whether the correct person was charged. Allow the player to make mistakes but live with it. Cases are constructed with a fixed baseline series of events but variants with different perpetrators exist. You don't know whether you've made the right call by comparing with friends because their game may have played out differently. Provide feedback to success via an end game report, or perhaps mid game career review (in fiction). Encourages repeat play through to close more cases correctly. This approach contrasts with the design of a game like Heavy Rain which a branching story with multiple paths and endings. In Heavy Rain the motivation for going back after completion is simply to see what else could have happened if different choices were made. It is possible (in most instances) to make the alternate choice and see a new path through the story. 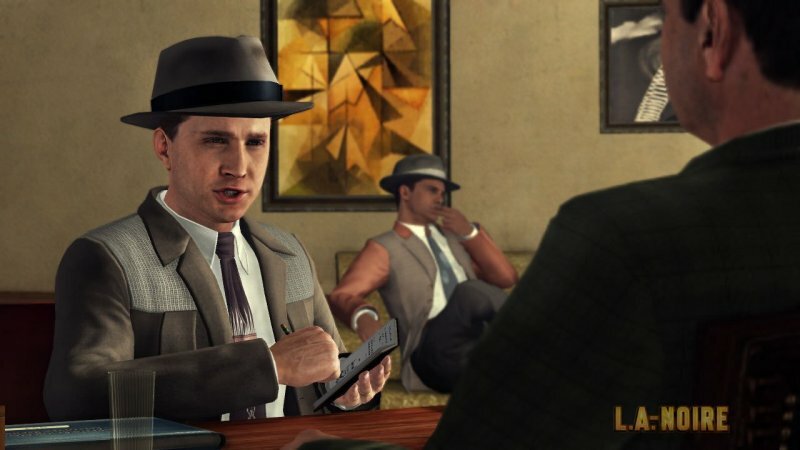 In this proposed redesign of LA Noire it would not be possible to go back on a second play through and see alternate endings/consequences simply by making different choices - the game is wiped clean each time you play and the exact scenario combination would (by design) not be recoverable or repeatable. There are no fail-state endings to the story, it simply continues based on the outcomes of the events as they play out, good or bad. I see a play through of a game using this design philosophy as a performance by the player, rather than a reading of the story by the player. An author has not written multiple endings which can be viewed one after the other. The player writes the ending as they play, with authorial intent of the designer coming through only in the construction of the sandbox and rules for play. Choices are meaningless without consequence - this is why we must offer true consequence and avoid the idea of 'repeat until you succeed' game design. This is not the hero's journey - it is your journey and you must be willing to accept the responsibility for its outcome.